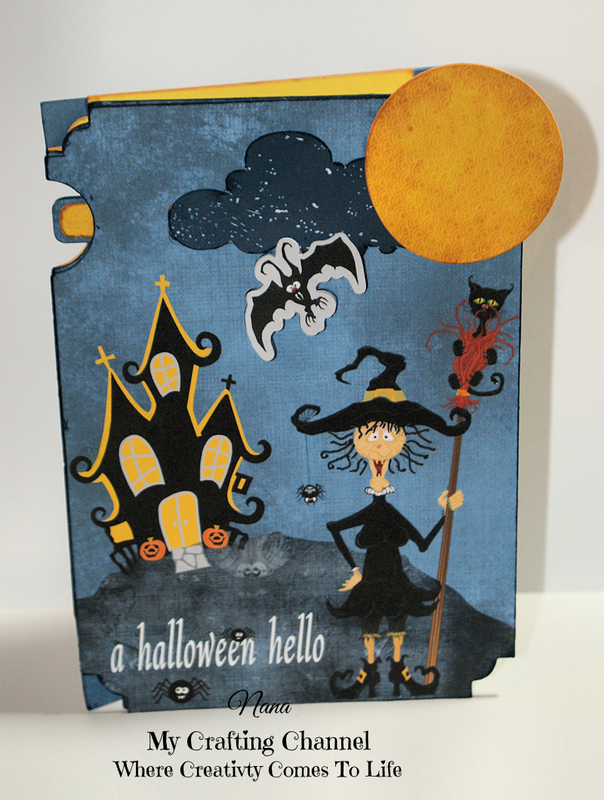 Yesterday I shared a Skeleton card with Moving Eyes that I purchased from the Silhouette Store. I wanted to design a card with the moving part at the top instead of in the middle. Here is what I came up with. All the image files used other than the moon, cloud and bat were used as a print n cut, where I printed them to the actual card front. Oh I love your videos! You have GOT to keep making them. GREAT card! 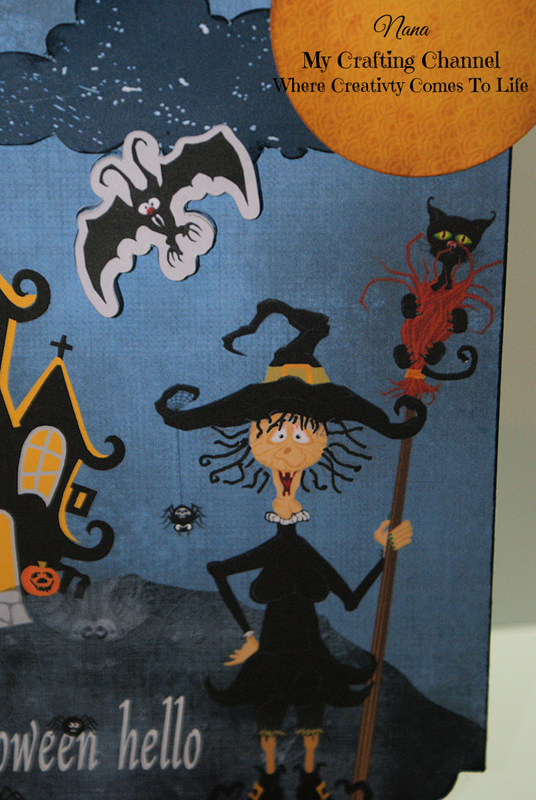 Wonderful card, love the design and flying bat, the witch is soooooooooooo wicked and cute at the same time. Thank you for joining us this week at HIMCR. Oh my goodness...so super cute!! WOW!! Seriously AMAZING!!! I LOVE all of your HALLOWEEN projects!! Super fun!! Super cute card! Love that wire-haired witch (she does need a good support bra though). Great video, loving your action cards! Oh my goodness Nana, is this ever awesome!! That witch cracks me up...such a FUN card! AND...... Thank you for Linking Up at PDE Linky Party. 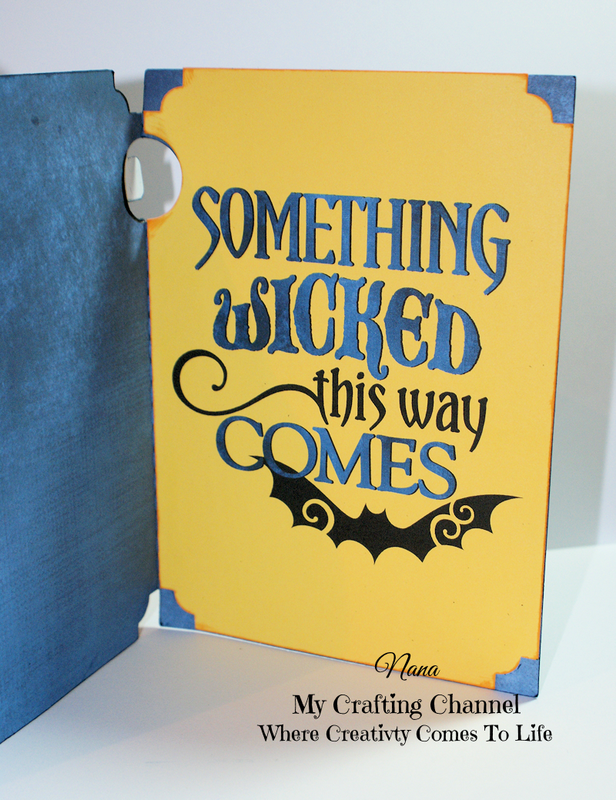 What a fun and creative card!! Love how the bat "flys" around!! Thanks for joining us at the PDE Linky Party!! What a super cute and fun card, Nana!! Have a great day.